Grid 3.0.7 introduces the new Voice Store which allows you to browse, preview and download new voices into Grid 3. Enter the Grid 3 settings screen from the ribbon menu (or keyboard shortcut F10) and select Speech. You have options to change the Voice for both Speaking and Audio feedback (you can select different voices for both of these if you like). Click Voices to open the Voice selection window. 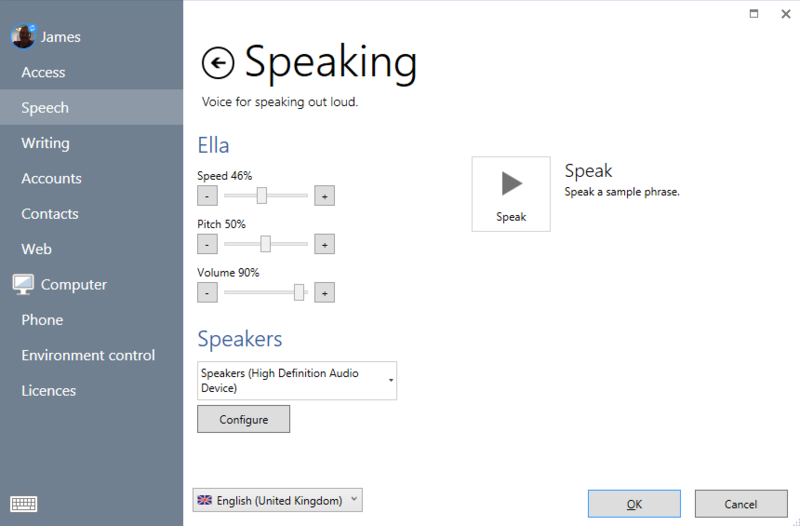 The Voice window lists installed voices at the top of the list, then available downloadable voices below (your device must be connected to the internet for downloadable voices to appear). The descriptions list the gender, age and the licence status of the voice. Clicking on a voice then pressing Listen will play a short preview. 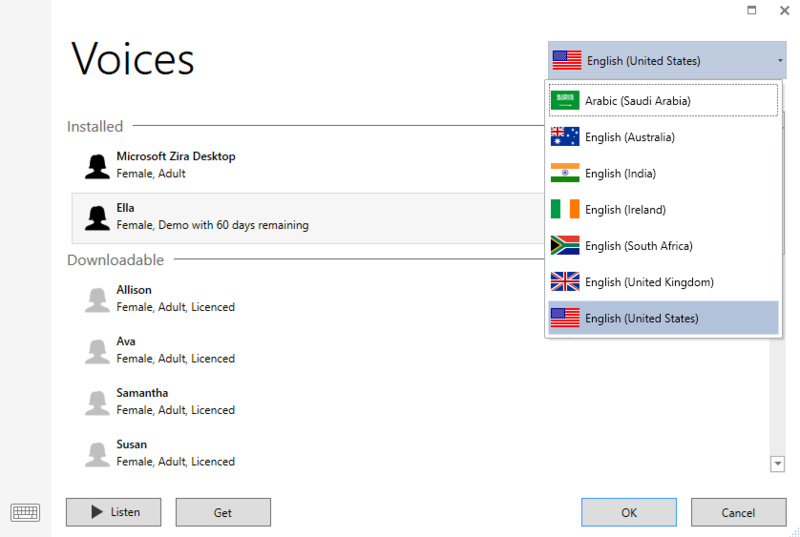 You can explore different languages and accents by using the language tab in the top right of the voice window. Selecting a voice and clicking Get will take you to the purchase options. From this screen you can try the voice with a 60-day trial, buy the voice online or activate the voice if you already have a code. Selecting Try will begin downloading voice to your computer (most voices are around 80-100MB). Once the download has completed select Install. Installation of a new voice requires Grid 3 to restart. Once Grid 3 has restarted, navigate back to the Voices page and you can select your new voice. you can see how long you have left of your trial. If you wish to purchase the voice, click on Get, and then select Buy Online. 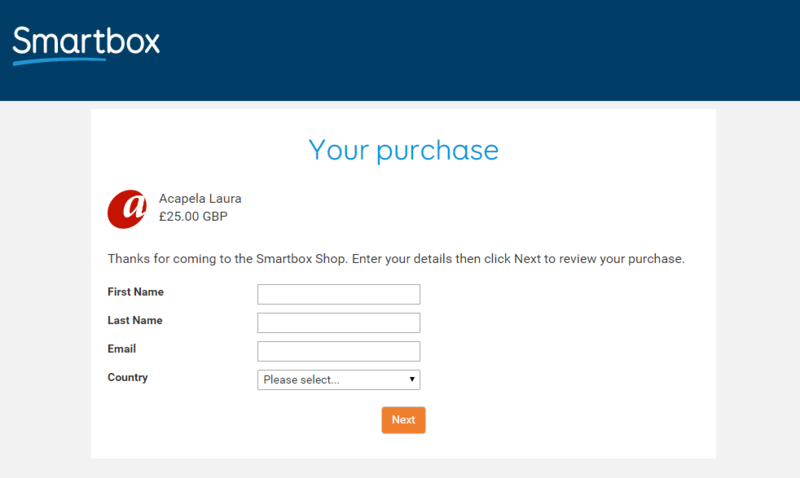 When you click Buy Online, your browser will open with the Smartbox online store. You can see the voice you have selected will be listed, fill in your details and click Next. You will be given a Purchase summary. Clicking Next will take you through to our payment page. 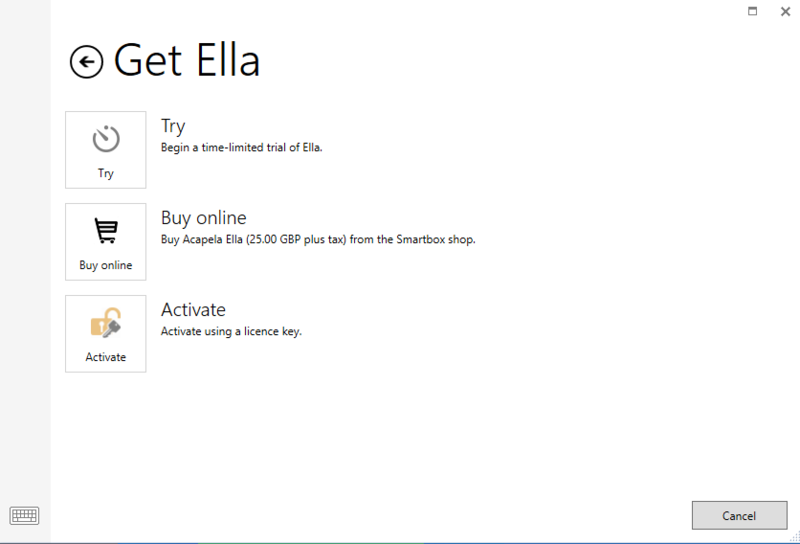 Once payment has been authorised you will receive your licence key via email. Clicking back to Grid 3, the software will automatically detect the new voice has been purchased and activate. 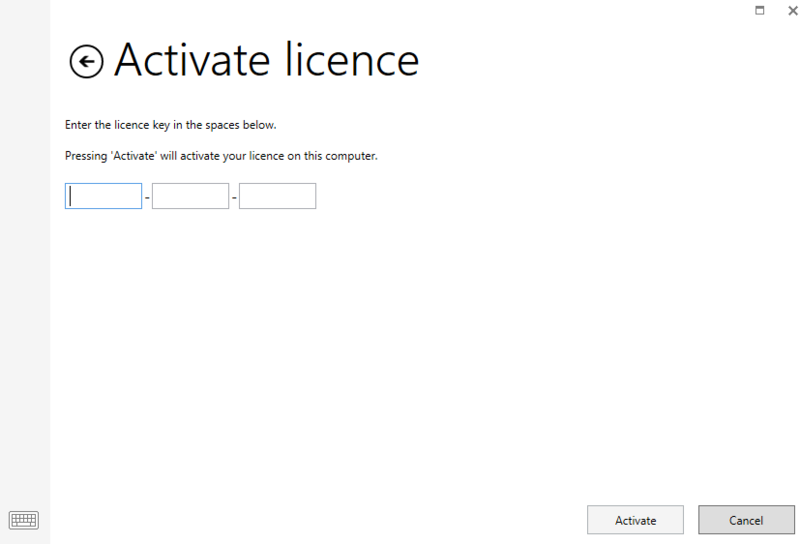 If this does not happen, you can manually type in the Licence code. Once your new voice is installed, you can also configure and tweak it to your preference. 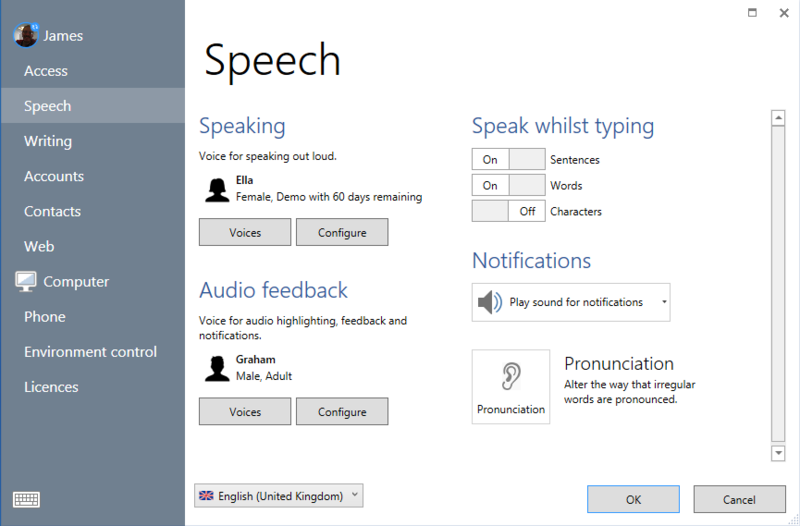 From the Speech settings screen select Configure and you can adjust the Speed, Pitch and Volume of your selected voice as well as which output device you would like to use.